I think what made me the most excited to have Peggy in for a photoshoot was simply the story of her life thus far. She is the owner and founder of Ballet Petit, but she is a teacher and long-time investor of children who love the art of dance, she is a wife, mother, and grandmother, she is a cancer survivor, she is a woman whose smile, humor, and warm conversation make you feel like you’re talking to a long-time friend even after a few minutes of meeting her. Peggy had never done a photoshoot like this before and as with most women, had some hesitations to step out in front of my camera. However, that did not stop her because in a very real way, this photoshoot was more than taking a few photographs - it was celebrating her journey with life on so many deeper levels. 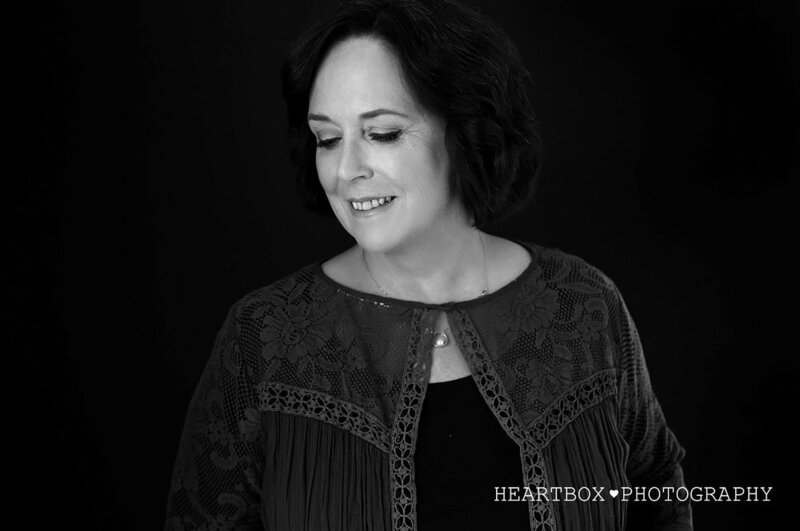 I beyond honored to share with you all a few images from Peggy’s photoshoot, a behind the scenes video glimpse below, and most of all, a little bit about her through her own voice. Here’s to the celebration and journey of life, both the peaks and valleys, and being able to see a deeper beauty through all the seasons. “About three years ago, I went to yet another doctor’s appointment to try and control my asthma. After a chest X-ray, and several more follow up appointments, it was determined that asthma was not the issue after all - I had Hodgkins Lymphoma, Stage 2B, with some extra symptoms. It was a huge shock. I was told, due to concerns for my immune system during treatment, I was not permitted to teach school during my treatment, but was encouraged to teach ballet and take my ballet classes each week, for as long as I was able. It was a scary time. Less than a month later I started 6 months of chemotherapy every 2 weeks, followed by weeks of daily radiation treatments. “I was a pretty strong-willed and ambitious 18 year old. I thought that if I tried hard enough, I could make just about anything happen or not happen. “Everyone has a place. Everyone has worth. No one is perfect. We all have imperfections. “I have been so fortunate to have lived my life surrounded by wonderful people in my family, my schools, and in the world of the classical arts. The proverb about it taking a village to raise a child rings so strongly for me.